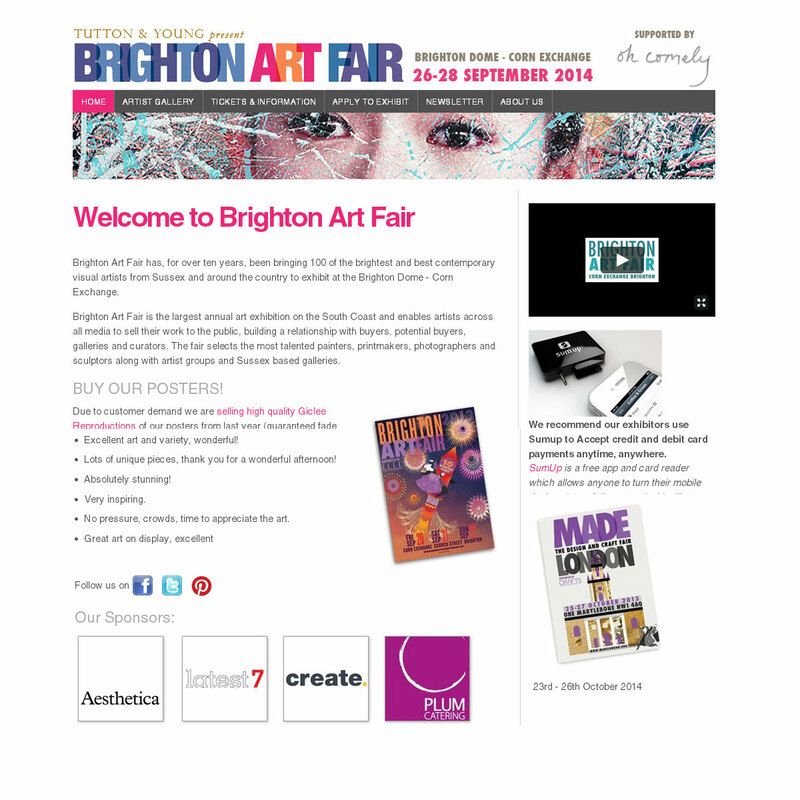 Brighton Art Fair is a major annual event in the arts calendar of the South Coast providing an opportunity for the public to buy art from the best local and national artists and for artists to sell direct to the public, to make contacts and to build a relationship with buyers and potential buyers. It is now the largest art exhibition on the South Coast and brings together about 130 of the most talented national painters, printmakers, photographers and sculptors along with artist groups and Sussex based galleries. The site features a self-registration form that allows artists to apply for stand space at the show. Behind the scenes the form data creates an individual gallery show piece for each artist which will be viewable to the public once applications have been finalised.